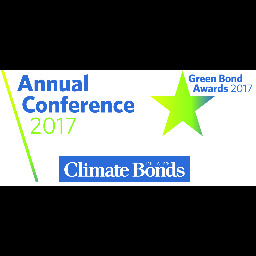 On 6 March we’re holding the 2017 Climate Bonds Annual Conference in London — and the 2017 Green Bond Awards that evening. ICMA’s Green Bond Principles and the City of London’s Green Finance Committee will be our partners in hosting this event. 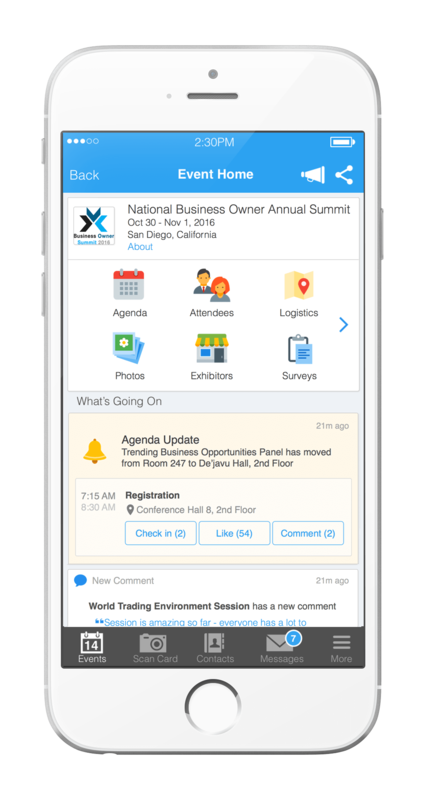 This is a day-long working event, not about promotion. You’ll hear and be part of discussions about the future of green bond and green debt markets. You’ll be learning, thinking and hopefully debating. And you’ll be meeting the crème de la crème of the world’s green bonds industry. Bio: Deputy Treasurer for Legislation and Infrastructure Financing for State Treasurer John Chiang, Mr. Gordon’s responsibilities consist of managing and serving as Chair Designate of the California Pollution Control Financing Authority, California Alternative Energy Advanced Transportation Financing Authority, California Tax Credit Allocation Committee, and the California Debt Limit Advisory Committee. He serves as a Board member of the California Infrastructure and Economic Development Bank, the West Coast Exchange, and the California Competes Tax Credit Committee of the Governor’s Office of Business Development. Immediately prior to joining the Treasury, Mr. Gordon served as Deputy Controller for Environmental Affairs for Controller Chiang, serving as Chair of the State Lands Commission and as a member of the Ocean Protection Council, among other roles. 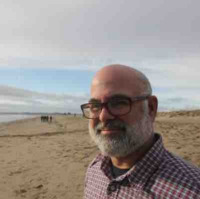 He began his career as an environmental attorney and served as Counsel and Principal Consultant to the California Senate Committee on Environmental Quality for more than 20 years. Mr. Gordon is also an adjunct faculty member at the University of California, Davis where he teaches environmental policy. Bio: Anna is the Standards Manager Climate Bonds Initiative. A strategy specialist, Anna has significant experience advising on green growth and low carbon development. For the last 8 years, she has worked with companies, Governments and Non-Governmental Organisations (NGOs) advising on national and international policy development, and mechanisms to engage the private sector in sustainable land use. Anna began her career in the private sector, where she worked in consultancy and then in industry. This included working as a Strategic Planning Manager in a large FTSE 100 company, developing company strategies based on economic analyses and market modelling. She holds an MSc in Economics and a BSc in Economics & Philosophy, both from the London School of Economics and has qualified as an accountant with the ACCA. Bio: Ashley Schulten, Director, is the Head of Climate Solutions, Fixed Income, within the Portfolio Solutions Group. 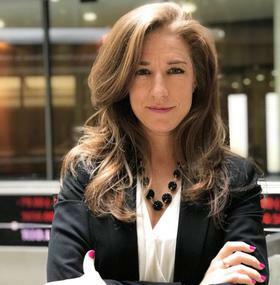 Ms. Schulten is a portfolio manager on global green and socially responsible mandates and leads the coordination of the BlackRock firmwide Green Bond effort. 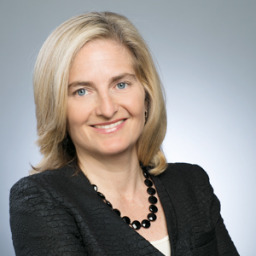 She partners with Blackrock's Impact Investing Group and Investment Stewardship Group to bring ESG and climate risk integration strategies to the Portfolio Management team. Prior to this role, she spent three and a half years in the Global Rates Trading team. Previous to BlackRock, Ms.Schulten spent 20 years as a sell side interest rate trader, most recently at Goldman Sachs. Ms. Schulten earned a BA in Political Science from Vanderbilt University in 1992. She serves on the Executive Committee of Green Bond Principles and is on the Board of the Mianus River Gorge, the first Nature Conservancy land project. 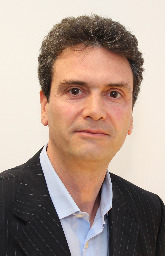 Bio: Dr Ausilio Bauen is a Director of E4tech, a Switzerland- and UK-based strategy consulting company specialising in sustainable energy. He has 20 years experience in sustainable energy technologies and supply chains. Ausilio works with private and public sector clients to understand opportunities and risks in sustainable energy and develop related business and policy strategies. His work covers techno-economic, environmental, market, business and policy aspects. He is part of advisory panels for a range of organisations, including the Climate Bonds Initiative's Technical Working Group on bioenergy. Bio: Bernhard joined Alpha Trains as Head of Group Investment Funding in February 2016. After obtaining his international university degrees, Bernhard held senior positions in Germany and Spain in the banking & finance sector, including HSH Nordbank, WestLB, BDO und KPMG, with the main focus on corporate finance and equity investments. Bio: Bodo is Head of Investor Relations & Sales at Berlin Hyp AG in Berlin. Before joining Berlin Hyp in 2010 he worked as a division manager at the Association of German Pfandbrief Banks (vdp) responsible for Pfandbrief and capital markets issues. Prior to joining the vdp in 2004 Bodo was an asset manager with Deutsche Kreditbank AG where he was in charge of the bank’s fixed income portfolio. After starting his career at GrundkreditBank, Berlin in 1994 he worked as a money market trader at Berliner Volksbank. Bodo received a MBA from Lord Ashcroft International Business School in Cambridge and holds a degree in Business Administration from HTW Berlin University of Applied Sciences. 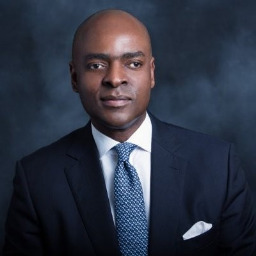 Bio: Bolaji Balogun is the Chief Executive Officer of Chapel Hill Denham and is one of the leading deal makers by volume and value of successfully completed transactions in Nigeria, over the last decade. Bolaji has twenty-seven years of experience in financial services and mobile telecommunications. He spent eleven years within FCMB Group, in investment banking and securities trading, leaving the business in January 2001. From April 1993 to January 2001, he was Executive Director and Chief Operating Officer at CSL Stockbrokers (part of FCMB Group). Bolaji was also Executive Director at FCMB Capital Markets from January 1996, where he led advisory teams in major corporate and complex transactions. Bolaji left FCMB Capital Markets in January 2001, to become a co-founder and Director of Econet Wireless Nigeria, now Airtel Nigeria, which was the first major private infrastructure project in Nigeria. He led the capital raising and license bid auction process for Econet Wireless Nigeria’s USD285million GSM license. He was pioneer Chief Business Development and Strategy Officer and in October 2001, was appointed Chief Marketing Officer. The US$1.67 billion sale of Econet Wireless to Celtel in 2005 remains Nigeria’s single largest successfully exited investment. Bolaji left mobile telecommunications and returned to investment banking, when he founded Chapel Hill in 2005. Bio: Based in New York City, Christine partners with scientists and public and private sector decision makers to address environmental sustainability and food security in the context of climate change. She serves as CBI’s lead specialist for Land Use and Marine sectoral criteria development. In partnership with a diverse set of international research, philanthropic, and finance organizations, Christine develops knowledge resources and identifies best practices to support climate change mitigation and adaptation, food and nutritional security, and agricultural value chain development. With more than 30 publications related to technical, policy, and market dimensions of sustainability, her projects emphasize multi-objective management of complex, productive landscapes in various regions of the world. She holds Ph.D (soil chemistry) and master's (natural resources planning) degrees from the University of Vermont and a bachelor’s degree (government studies) from Wesleyan University. Bio: Christopher Knowles joined EIB in 1982 and has held a number of positions inside and outside Europe. Since 2006 he has been part of an initiative by EIB to reinforce its activity in sectors of high policy priority for the EU and in which the EIB seeks to develop innovative approaches. In this capacity he has global responsibility for a portfolio of activities which includes carbon finance and equity funds for infrastructure, clean energy and the environmental sectors. He is EIB’s lead on Climate Finance, is a member of various Advisory Boards including the Climate Bond Initiative and the OECD Centre on Green Finance and Investment, and Chairs the Board of Directors of the Green for Growth Fund. From 2000 to 2005 he led the lending operations team responsible for EIB’s financing in the transport and infrastructure sectors in Spain, closing €4-5 000 million of financing annually for Europe’s largest national infrastructure programme, much of it in PPP form. He spent the 1990s doing broadly similar jobs throughout the Central European region, Finland and Greece and the 1980s in the African and Caribbean regions. Prior to EIB he worked for the Lesotho National Development Corporation, the European Commission and Lazard Brothers. He has degrees in Economics and Management from the University of Durham. Bio: Christopher Wigley began his career in 1987 at Mitsui Bank in London as a manager of fixedincome portfolios invested in US Treasury notes, Investment Grade and High Yield bonds. In 1996, he joined Aloi Insurance Company as Global Governments Fund Manager, Credit Fund Manager. In 2004, Chris joined Epworth Investment Management as ESG and Green Bond Specialist, then became Senior Manager responsible for Fixed Income and Money Market. Chris joined Mirova in 2014. He has more than 28 years of experience on the fixed-income markets and 10 years in SRI portfolio management. Chris is a graduate of the University of Essex in England. Bio: Dorothée Stik is the Project Leader for the issuance of the first Sovereign Green Bond (the “Green OAT”) since September 2016. Bio: Eugene is an economic advisor with over 20 years of experience performing technical, environmental and economic due diligence of energy projects financed by the EIB. Currently focused on renewable energy and energy efficiency investments worldwide, he has helped set up two of the carbon funds co-managed by the EIB, he actively supports the social, environmental and climate change working groups that develop and mainstream EIB policies in these fields and he ensures compliance of projects with EIB Climate Awareness Bonds. Prior to joining EIB, Eugene worked for the International Energy Agency and Theodore Barry Management Consultants. 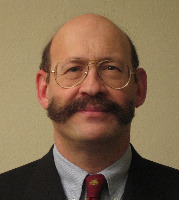 Eugene holds degrees in Mechanical and Industrial Engineering from University of California, Berkeley and Economics from London School of Economics. Bio: Florian Sommer is a Senior Strategist at Union Investment and is responsible for sustainable & responsible investment across different asset classes. He has 15 years professional experience as an investor, consultant and policy advisor. In the asset management industry he led for 5 years the sustainability research for Fortis Investments and BNP Paribas Investment Partners. Before he advised multinational companies on sustainability while working at Forum for the Future. Prior to that he worked at the New Economics Foundation, a London based think tank, where he managed several research projects aimed at making people and the environment count in economic decision-making. Florian studied Environmental Economics and Policy (MSc) at the London School of Economics. He also holds the Investment Management Certificate (IMC). He is member of the PRI Steering Group on Fixed Income. Bio: Frederic Samama, Deputy Global Head of Institutional Clients, joined Amundi in 2009. He is as well founder of the SWF Research Initiative. Formerly, he oversaw Corporate Equity Derivatives within Credit Agricole Corporate Investment Banking in New York and Paris. During his tenure, he developed and implemented the first international leveraged employee share purchase program, a technology now used widely among French companies. He has advised the French Government on different areas (employee investing mechanisms, market regulation, etc.) and has a long track record of innovation at the crossroads of finance and government policy. 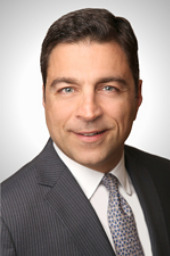 Bio: Guilherme Studart joined BNDES in 1992 and has played roles in different areas, such as finance, foreign trade, credit and the President's Office. Currently, he works as a manager at the subsidiary in London. He has a title of Master of Business Administration (MBA) from the London Business School and a Master in Economics from the Pontifícia Universidade Católica do Rio de Janeiro (PUC/RJ). Bio: Mr. Vargas began working at BNCR in 1992 and has held various business support positions in the areas of planning, auditing, and commercial business, which allows him a comprehensive view of the Bank’s processes. Within his executive background, he has acted as Project Director, General Management Assistant, and Risk Director, where he has created more the 50 models, scores and ratings. Currently, he is acting as General Finance Director (CFO). 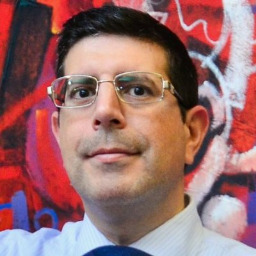 He has a Bachelor and Licentiate Degree in Economics from Universidad de Costa Rica and has a master’s degree in Business Administration from INCAE, graduating with Honors. Bio: Habil Olaka is the Chief Executive Officer of the Kenya Bankers Association since October 2010. 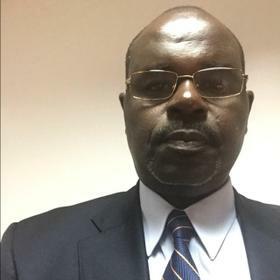 Previously, he was the Director of Operations of the East Africa Development Bank (EADB) and also member of the senior management team in charge of the credit operations and business development of the bank. Before joining the bank he had been with Banque Indesosuez now Bank of Africa for four years as the Internal Auditor, having started his career at the Price Water House Coopers Nairobi in the audit and business advisory division. He sits on a number of boards representing the KBA that include Kenya School of Monetary Studies, HELB among others. He holds a first class honors BSc Degree in Electrical Engineering from UoN and an MBA in Finance from the Manchester Business School in the UK. He is a member of ICPAK and CFA and an alumnus of Strathmore School of Accountancy. 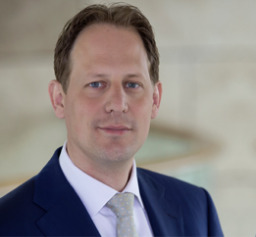 Bio: Huib-Jan is Director of Financial Markets at FMO, the international development bank of The Netherlands. He heads the team which is responsible for FMO’s treasury front office activities (including funding) and for arranging syndicated loan transactions. Beyond his day-to-day activities Huib-Jan is working with a number of colleagues to identify opportunities for FMO to further increase its investments in Inclusive Business. Before joining FMO, he was an Executive Director in the Financing Group of Goldman Sachs based in London. Prior to that he worked at ABN AMRO in various roles in Amsterdam, London and Lisbon. 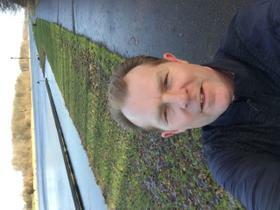 Huib-Jan studied in Groningen where he completed Masters in both Business Administration and Law. He is a CFA Charterholder and attended Summerschool at the London School of Economics and Political Science (LSE) where he took courses on International Development. 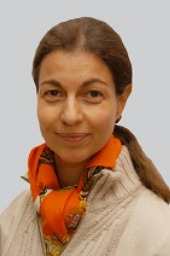 Bio: Isabelle Laurent is the deputy treasurer and head of funding at EBRD. 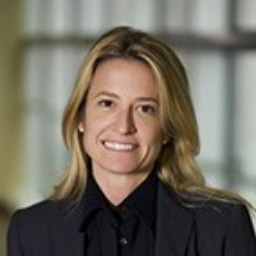 Isabelle spent 13 years in London and Hong Kong in treasury, fixed income origination, and swaps trading and marketing with Swiss Bank Corporation International, Nomura International and NatWest Markets where she became director of debt and derivatives marketing in 1996. She joined EBRD in 1997 as deputy head of the treasury funding team, and was promoted to deputy treasurer and head of funding in 2003. In addition to overseeing EBRD’s issuance in the capital markets, Isabelle also focuses on capital markets’ development in EBRD’s countries of operations. Isabelle studied Russian and French at Oxford and the Sorbonne. Bio: Jean Boissinot is Head of Banking and Financial Sector Analysis Division at Direction générale du Trésor within the French ministry of finances since October 2011, leading a team of economists in charge of advising on domestic finance issues. He has been coordinating the work of the French ministry of finance on issues related to climate and finance and its engagement on green finance as part of the COP21 presidency team. He also serves as secretary general to the Haut Conseil de stabilité financière (French macroprudential authority). Within the DG Trésor, he previously held various positions most recently in the European Affairs department where he lead the division in charge of European financial institutions (2010-2011) and was an alternate director at the European Investment Bank. From 2008 to 2010, he worked within the International and Finance directorate at HM Treasury, as a senior policy advisor in the Financial Stability team where he was involved in crisis interventions as well as work on the financial reforms agenda. 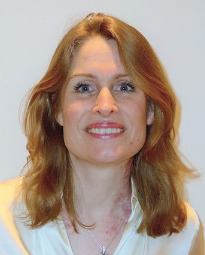 Bio: Jennifer joined the EMF in 2002, where she is currently Head of Legal & Economic Affairs. She specialises in a range of mortgage-specific issues on both the retail and prudential sides of the business. She therefore handles a variety of files from those with a consumer protection focus right through to liquidity, leverage and capital requirements, as well as a variety of horizontal EU business regulatory files, such as financial benchmarks and data protection. She is also responsible for the EMF’s Valuation Committee, which brings together practitioners in the field of property valuation and considers a range of technical issues specific to the valuation of property for lending purposes. Prior to joining the EMF, she studied French, German and European Politics at the University of Wales, Cardiff. Bio: Joop Hessels started working for ABN AMRO in early 2011 where he was responsible for rebuilding the FIG debt capital markets franchise where his key activities included the origination and execution of a wide variety of debt capital market transactions for financial institutions and insurance companies. Since 2014 he has been focussing on sustainable bond structuring and advisory. His current role is head of green bonds. He structured and arranged ABN AMRO's award winning inaugural green bond issue and recently developed the world’s first sustainable shipping loan. He is in close dialogue with several potential FIG and corporate issuers advising them on future transactions. Joop is founding member of the GRESB green bond working group and member of the Green Bond Principles. Before joining ABN AMRO, Joop was responsible for DCM origination of Dutch and Nordic financial institutions at ING Bank. During this period he executed a significant amount of transactions for financial institutions including covered, capital and senior bonds. Joop began his career in fx and mm sales, and was co-founder of the successful Euro Commercial Paper desk. Joop holds a masters’ in Business Administration from the University of Groningen and is based in Amsterdam. Bio: Justine has spent much of her career helping business leaders and governments find solutions to the global challenges of climate change and sustainable development. She has provided advisory services for a number of global institutions and governments across Europe, Africa, India, Indonesia and Latin America. Her areas of focus includes sustainable development in emerging economies, climate change mitigation/adaptation strategies, climate finance, economic valuation and market based instruments for managing natural resource assets. As Director of Market Development at Climate Bonds Initiative, Justine's primary focus is in the emerging markets where she works closely with both public and private sector actors in developing national policy guidelines and roadmaps that will enable access to green bond financing. Currently, she leads Climate Bonds Initiative’s efforts in Nigeria and the Latin American region, where market development programs are underway in Brazil, Mexico and Colombia. 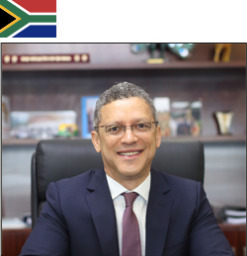 Bio: Mr. Leslie Maasdorp is Vice President and Chief Financial Officer of the New Development Bank. In this role he is responsible for the treasury, portfolio management, finance and accounting functions of the Bank. Over the past 25 years he has occupied senior leadership roles in both private and public sectors. Most recently he served as a Managing Director and President of Bank of America Merrill Lynch for Southern Africa for a period of four years. Prior to that he served in a dual role as Vice Chairman of Barclays Capital and Absa Capital. In 2002 he was the first African to be appointed as International Advisor to Goldman Sachs International. Before his 13 years as a global investment banker, he served in several senior leadership roles in the Government of South Africa. In 1994 after the transition to democracy, he was appointed as Special Advisor to the Minister of Labour and in 1999, in his role as Deputy Director General of the Department of Public Enterprises, he led the restructuring and privatization of state owned enterprises for the South African Government. He is a former Chairman and CEO of Advtech, a leading provider of private education in South Africa. Leslie is a young global leader of the World Economic Forum. He holds a BA degree in Economics and Psychology from the University of the Western Cape and a Master of Science degree in Economics from the School of Oriental and African Studies, at the University of London. Bio: Marie-Anne Allier began her career as a Fixed-Income fund manager at Robert Lefebvre in 1987 and in 1989, moved to Sogeposte to take over a similar position. In 1994, she was appointed Head of Equity and Bond management at Banque Transatlantique. 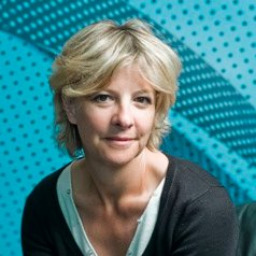 Marie-Anne joined SGAM as Head of Credit Management in 1998. She became Head of the European Fixed Income management department in 2005 and then Deputy Head of the Fixed Income Department in 2007. Since 2010, she is Head of Euro Fixed Income at Amundi. In 2016, she has been appointed Deputy Global Head of Fixed Income. Ms. Allier holds a Master Degree in Banking and Finance from the Sorbonne University of Paris I.
Bio: Marius Cara is part of the Investor Relations and Marketing Division at EIB, where he is involved in the marketing of the EIB Climate Awareness Bonds (CAB). Other responsibilities include the analysis of the EIB credit story and the on-going liaison with rating agencies and credit analysts. Marius joined the EIB in 2006 as Advisor to the Audit Committee and moved to Capital markets in 2011. Before EIB he worked for several years as internal auditor in the UN system and as a consultant for Pricewaterhouse Coopers. Marius has a degree in business administration from the Academy of Economic Studies in Bucharest, Romania and he is a chartered accountant (FCCA). Marius is fluent in English and French, being native speaker of Romanian. 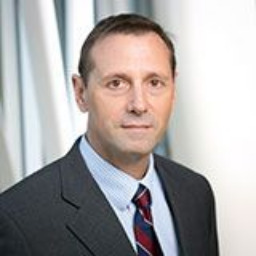 Bio: Mark Burrows is the Managing Director and Vice Chairman, Global Investment Banking Credit Suisse. He has had a long and distinguished career in investment banking, principally in partnership with Barings in Australia as Executive Chairman of Baring Brothers Burrows and then Managing Director of ING Barings in London. In these roles, Mr Burrows has been the principal advisor on some of the most significant and ground-breaking transactions in media and banking and also sovereign default and international finance. From 2014, Mr Burrows has worked alongside the United Nations Environment Programme (UNEP) and has acted as Special Advisor to the UNEP Finance Initiative (UNEP FI), particularly with respect to global financial institutions supporting the transition to a sustainable economy. Mr Burrows delivered keynote addresses at the CIFOR Forests Asia Summit in Jakarta in May and the UNEP Convention in Nairobi in June. Mr Burrows will also be a keynote speaker at the Global Landscapes Forum in Lima in December 2014. 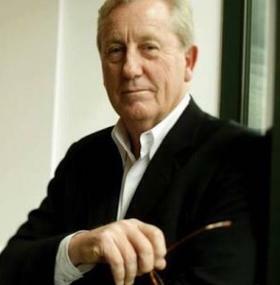 Mr Burrows has made a significant contribution to the advancement of public policy in Australia for which he was awarded the Order of Australia. Mr Burrows led the development of Australia’s national uniform corporate law and also co-authored the report for the framework of Australia’s compulsory superannuation system ($1.6 trillion). As an Australian Treasury nominee he has attended all of the B20/G20 Summits since Toronto in 2010 as a member of the Finance Taskforce. He is also a member of the Australian B20 Leadership Group for the G20/B20 in Australia in 2014, and is Adjunct Professor of Finance at Sydney University. 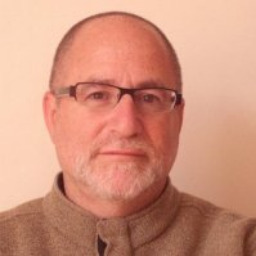 Bio: Max Bronzwaer is Executive Director and Treasurer of Obvion, a 100% subsidiary of Rabobank Group. His responsibilities include funding, the management of interest and liquidity and pricing, regarding Obvion's mortgage portfolio of around EUR 30 billion. Max is among other things responsible for Obvion's RMBS programme STORM, one of Europe's leading RMBS programmes with total issuance of EUR 50 billion since December 2003. In June 2016, Obvion issued the world's first green RMBS, Green STORM 2016. Max Bronzwaer is a member of the Market Committee of PCS (Prime Collateralised Securities, www.pcsmarket.org). Max holds an MBA in Business Economics at Erasmus University Rotterdam, The Netherlands and studied marketing in the USA at Michigan State University. Before joining Obvion, he has worked in the marketing department of the Dutch Postal Services, as a Senior Economist in the wholesale mortgage investment department of ABP Mortgages, as a Portfolio Manager Corporate Loans and Structured Finance at ABP Investments and as the Head of Finance of ABP Insurance Group. Bio: Mike Brown is the Manager of Environmental Finance Programs at the San Francisco Public Utilities Commission (SFPUC). Mike helps manage the SFPUC's water, wastewater, and power debt issuance and management program, a portfolio in excess of $5 billion, and leads the agency’s environmental finance initiatives, including CBI-certified green bonds for the Water and Wastewater Enterprises as well as green bonds, Clean Renewable Energy Bonds and Qualified Energy Conservation Bonds for the Power Enterprise. Mike has been with the SFPUC for 10 years and holds a Master’s in International Development and Planning from the Massachusetts Institute of Technology.